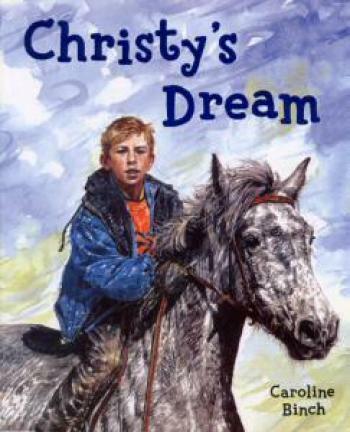 Christy longs for a horse of his own. He wants one so badly it makes his insides ache. Lots of other boys on the estate have their own horses so now he’s saved up enough money, no-one can stop him making his dream come true. Except his ma. What will she say when he brings his new horse home? Christy’s passionate determination to fulfil his dream, set against the realism of a Dublin tower black estate, is perfectly evoked by Caroline Binch’s richly detailed illustrations.